For the last couple of years we have tried to set new standards in portable climbing training. 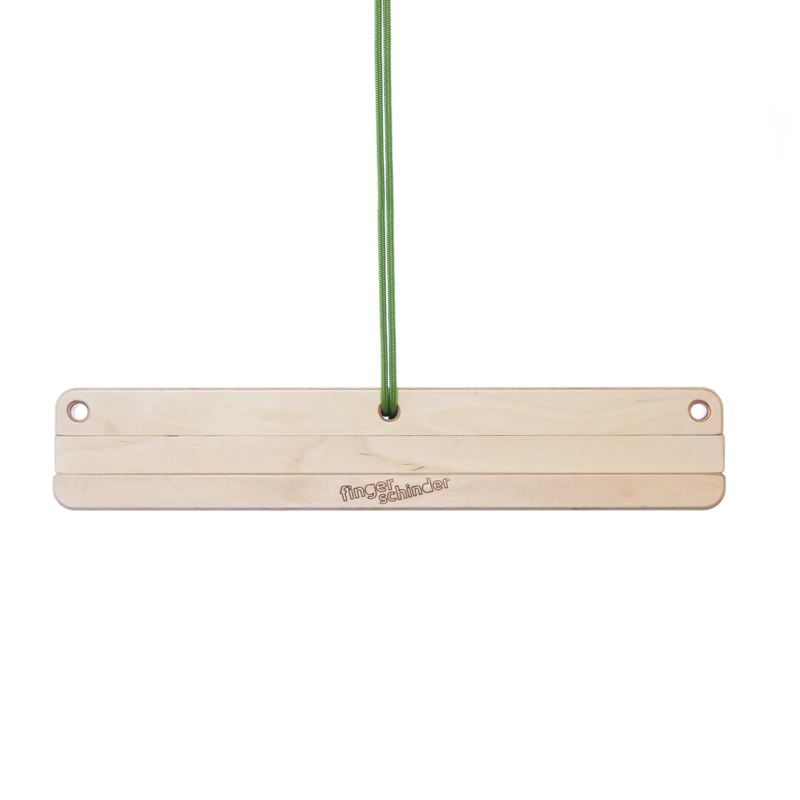 Finally we've realized our vision of the most portable and versatile hangboard for gripstrength training on the market. It is 40cm x 7,5 x 3 cm and weighs only 500g including the spacers and the 4 meter rope. It literally fits in anywhere. You can choose between six edge depths: 24, 21, 18, 15, 12 & 9mm with the included spacers. By changing the location of the knot you change the edge angle. It can go all the way from incut to slopy. Depending on which side of the board is facing down you have two different edge radii. 7 and 4mm whether you prefer a smoother or sharper one. Our "Fingerschinder Balance System" guarantees equal loading of both hands while training. What if you want to work on your one handed hangs? We have also included an insert for the middle hole. Now you have a one pad edge in the center for you one arm workouts. 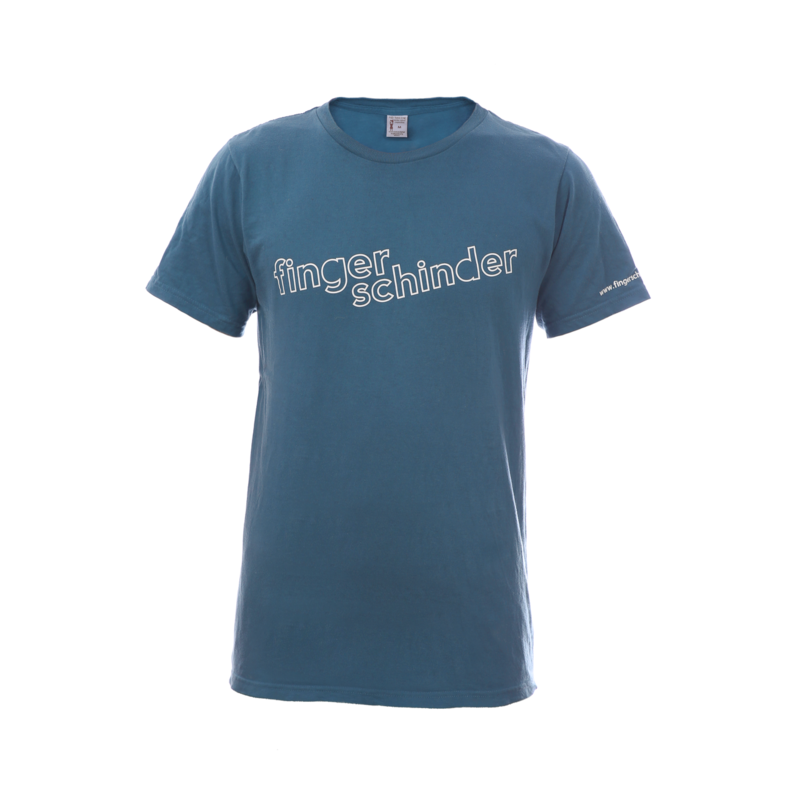 The Fingerschinder logo is on the back of the board. 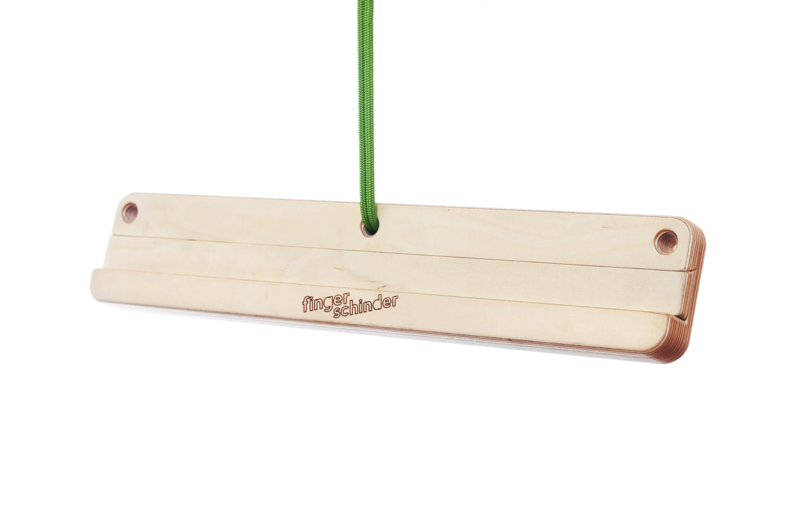 The Fingerschinder pi r², a device for whole body and finger strength training, got succesfully funded. 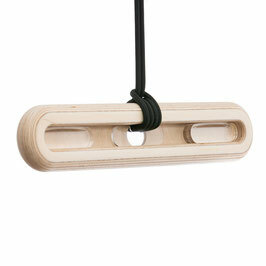 One half gymring, the other half is a hangboard with 24, 18 and 12 mm pockets. 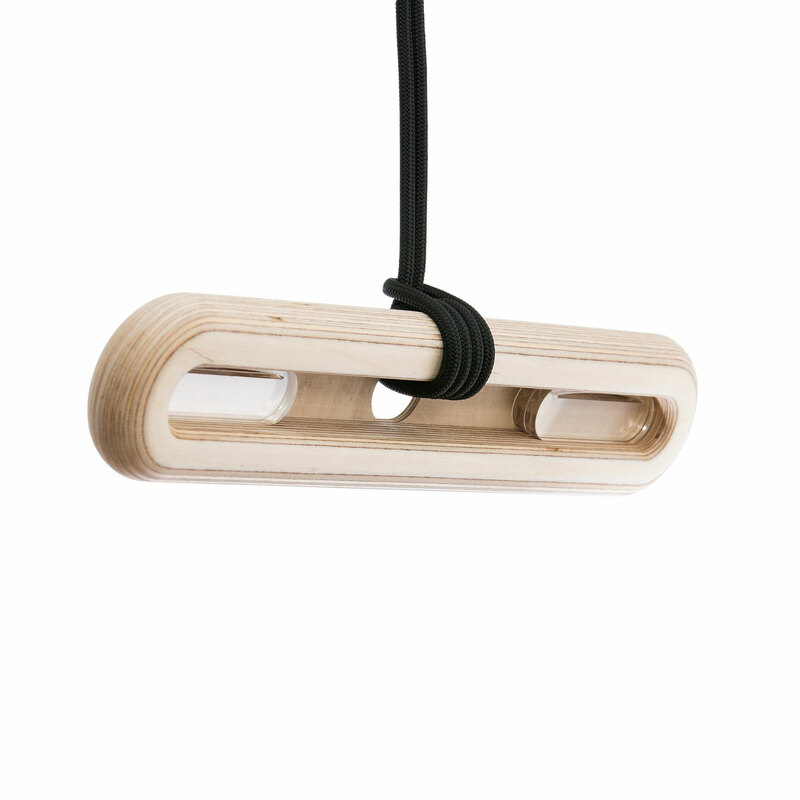 The black straps can leave slight black marks on the wood. Choose the white ones if you want them to be clean. One pair of Fingerschidner pi r² rings + two mounting straps with adjustable buckle. 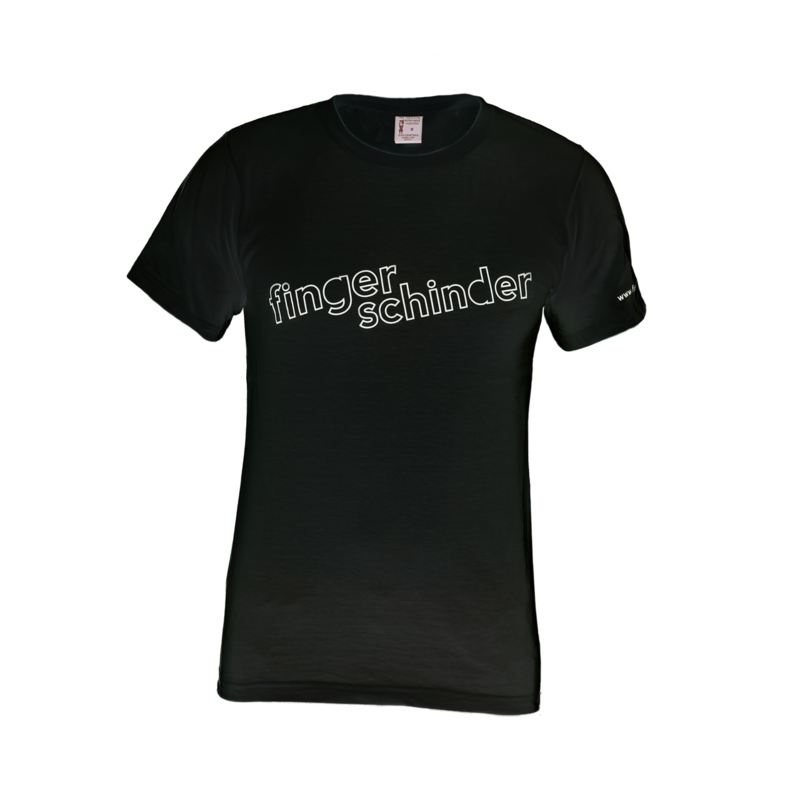 The complete Fingerschinder training system. Edge training on the Fingerschinder Plus (for more details on the Fingerschinder Plus, please check out it's description), plus sloper and pinch training on the wooden balls. The set comes in three variations. 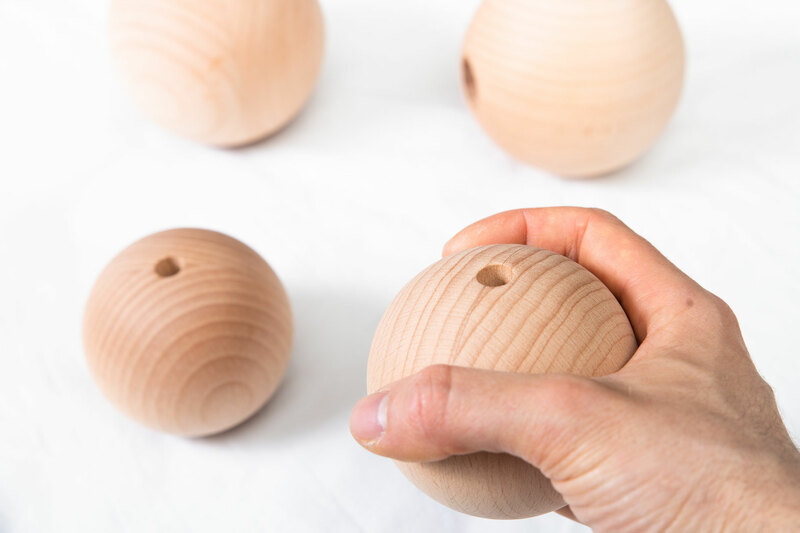 Either you choose the 80mm balls, the 100mm balls or both of them together with the Fingerschinder. 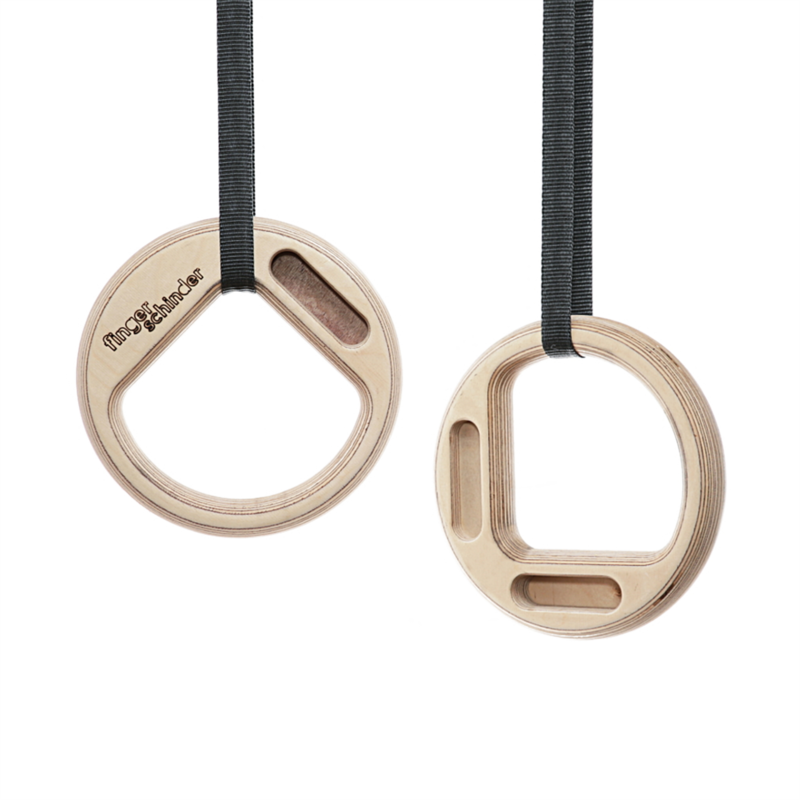 The balls have a 10mm hole which suits the cord that comes with the Fingerschinder Plus. 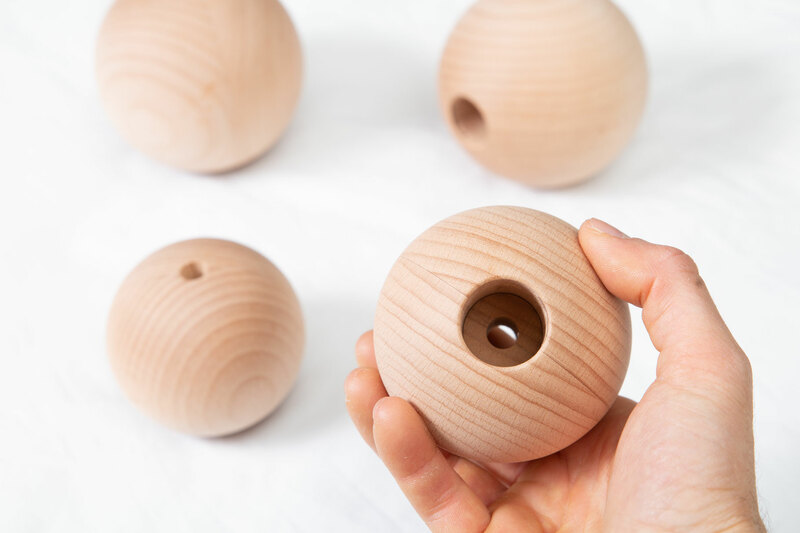 On the bottom there is a wider hole which hides the knot that keeps the balls at your desired height. 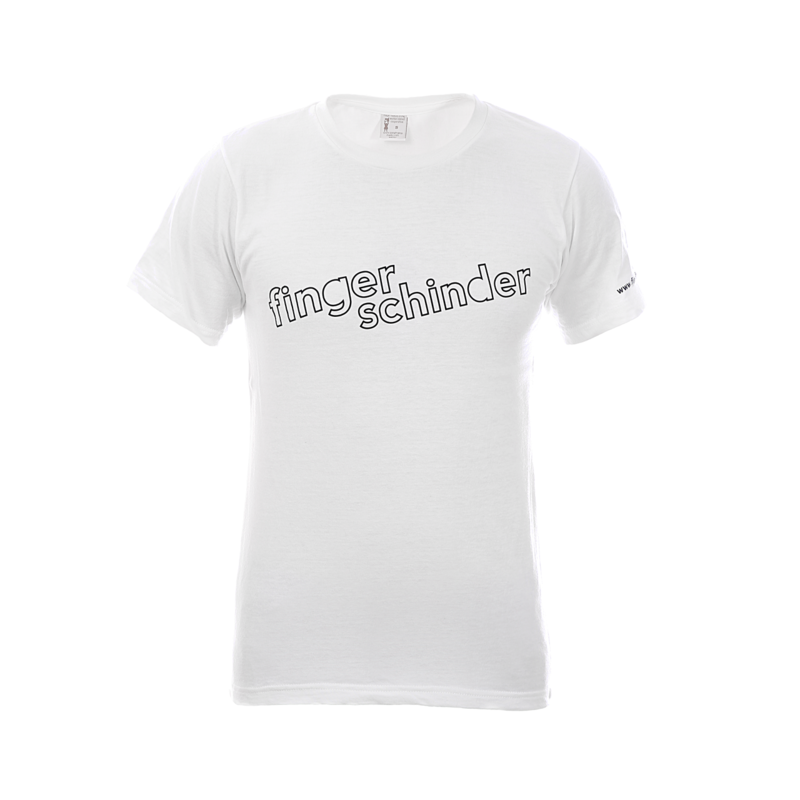 We designed an updated version of the classic Fingerschinder. Now it comes with a more comfortable edge and jug radius, a scale for measuring your progress when training with the balance system and our new spacers. 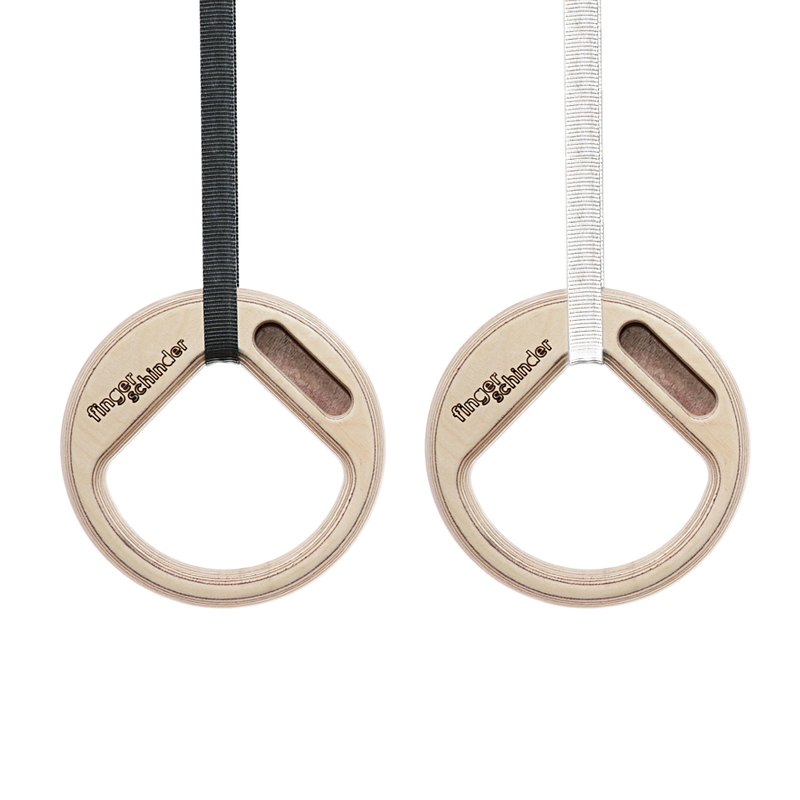 Using them you get 6 different edge sizes with your Fingerschinder - 24mm, 21 mm, 18mm, 15mm, 12mm, 9mm. Still you can change the edge angle, attach training balls or use it as a sling trainer, like you could with the classic one. It's dimensions are 55cm x 10cm x 3,6cm. Which one to choose? 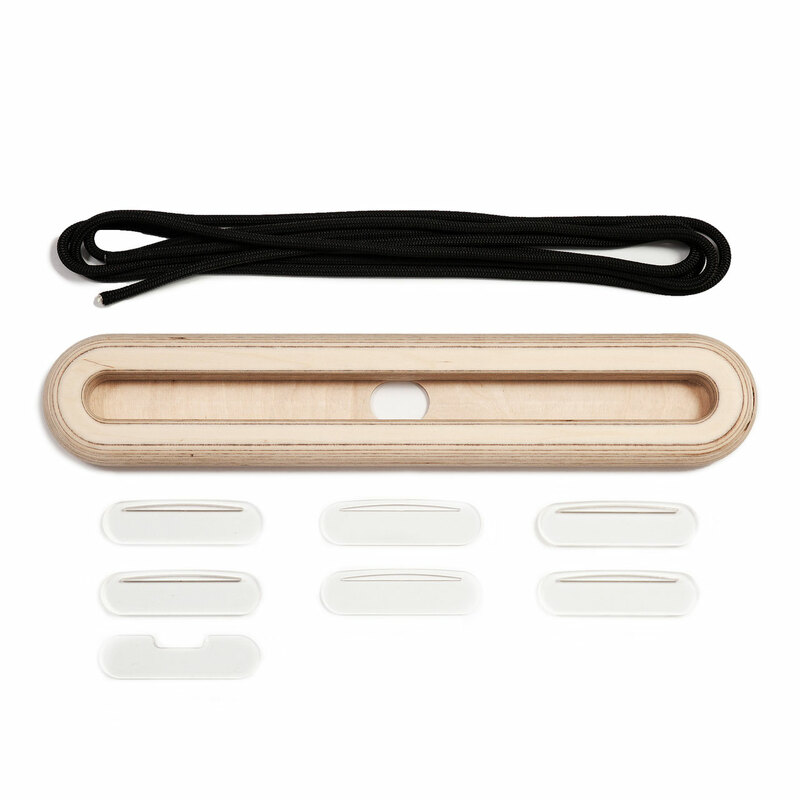 If you plan on getting the most put of the balance system and want to try to hang on lots of different edge sizes, get yourself the new one. If you want to mainly hang on a stable edge mounted with the outer two holes choose the classic one, still working well around the globe! 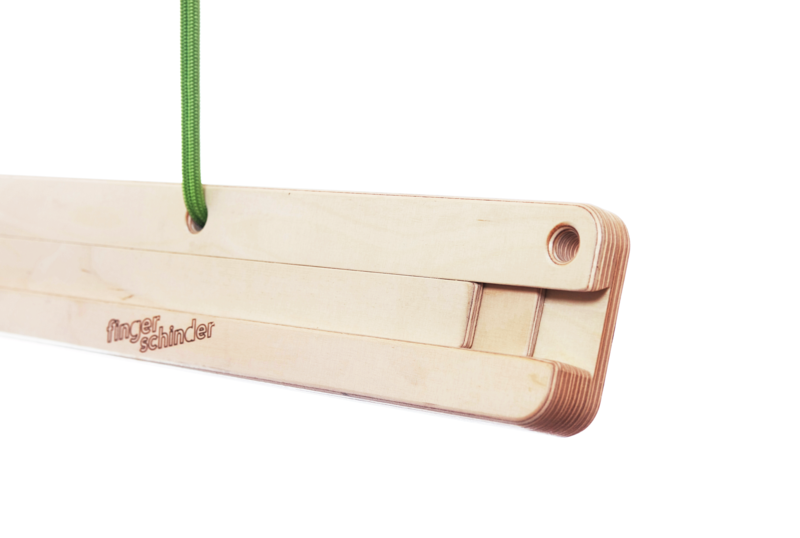 Training device for developing grip- and functional body strength. 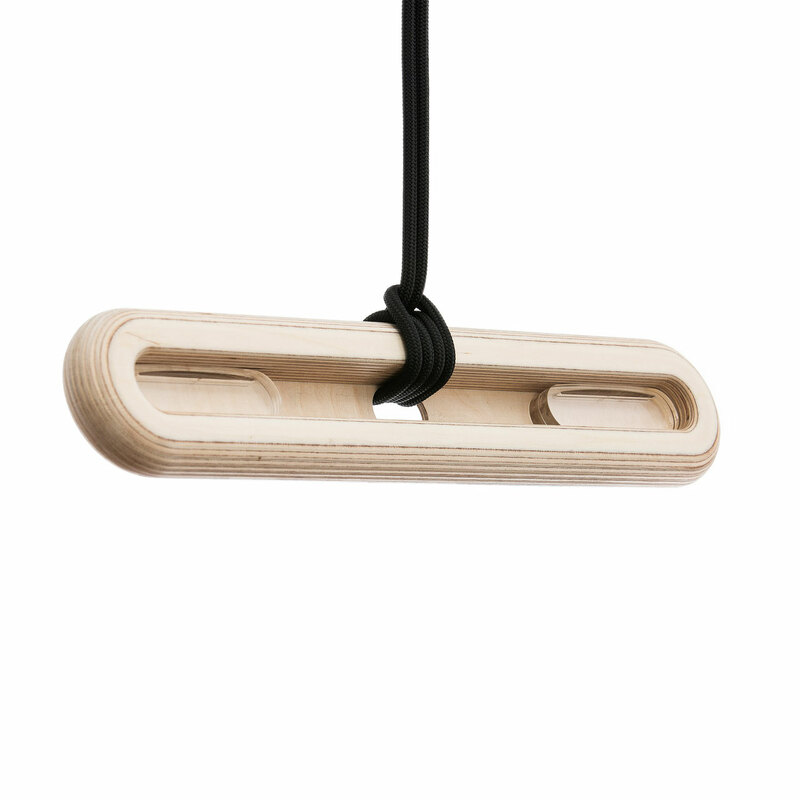 Consists of a jug edge on top for various pull-up variations and three different edge sizes (24mm / 18 mm / 12mm). You can change the angle of the edges steplessly making them even harder to grab. Furthermore it can be used as a slingtrainer base. The edge-spacers are included! Spare Spacers in case you lost the ones that came with your fingerschinder.